Right from the beginning Jesus addresses the experience He wanted sinners to have with His kingdom. It is for them that He came and died; the lost is His priority. Are they ours? This is value of this new view of the Beatitudes – to consider our own customer service rating to unbelievers. Watch my newest video and rate yourself. The couple at the restaurant whom I spoke of in my video who were giving the “mean eye” to the effeminate waiter is, unfortunately, a good example of how badly Christians can treat those they believe to be sinners. In the words of my pastor, “You can’t hate people to Jesus!” I don’t know if that couple are Christians and I do not know if our waiter knew Jesus, but what I do know is this – my Jesus would’ve not only been kind to the waiter, but would have probably requested to be seated in his section every time He patroned, especially if He thought the waiter was a sinner. This is who Jesus is challenging us to be: like Him! Didn’t Jesus eat with sinners? For a Moment of Clarity: Remind yourself that you are totally bankrupt without Jesus. Blessed are those who realize they are undeserving of God’s gift of salvation. 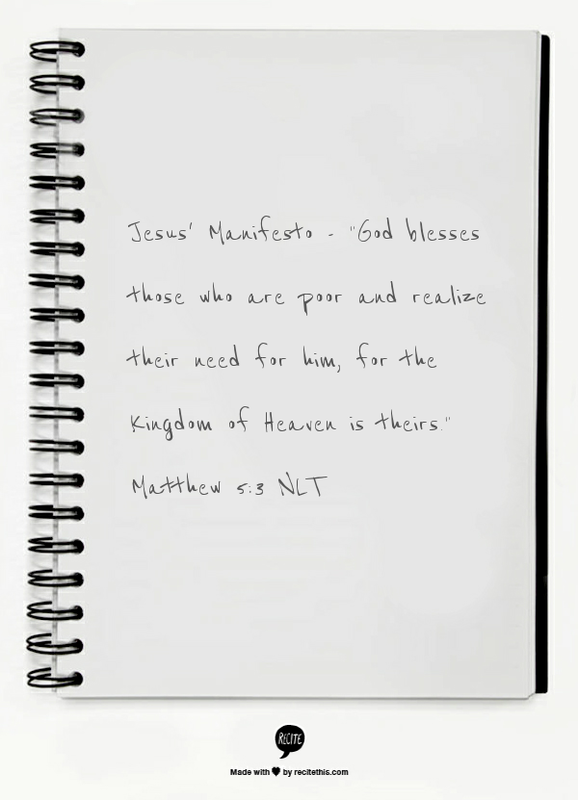 In God’s economy, the undeserving are deserving! Praise God!!! It is this realization that keeps us humble, and our humility automatically corrects our posture for interacting with others, regardless of our of perceptions of them. For Organizing Your Prayer Closet: As you pray over your shortcomings, failings and sins, do so with a humble spirit. And the next time you think you notice someone in their weakness, be kind to them and lift them up in prayer.